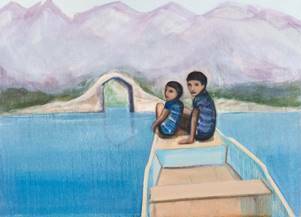 A childhood spent in Bangladesh is recalled in a new free art exhibition at Birmingham's Midlands Arts Centre (MAC). Matthew Krishanu's The Sun Never Sets runs at the centre from January 12 until March 10, 2019. Born in Bradford in 1980, Matthew lived in Dhaka, Bangladesh, between the ages of one and 12. His parents had relocated there to work for the Church of Bangladesh after completing theological training in Birmingham. Now based in London, Matthew's work is inspired by his years in Bangladesh, with his paintings having a dream-like, reflective quality. 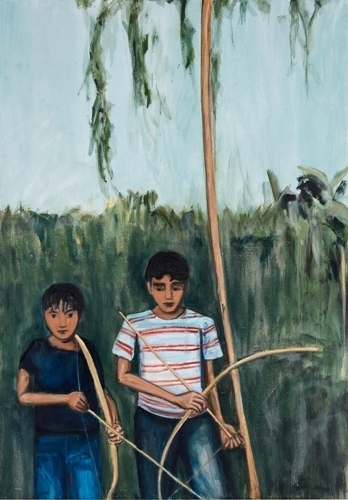 The exhibits in The Sun Never Sets capture his memories of growing up with his brother is a world of expatriates and missionaries – and the expansive Bangladeshi landscapes. He says: "I want the viewer to sense the complications: that the scenes depicted are not always ones of innocence, that there are historical and cultural currents at play, and that the childhood world is easily punctured by adult constructions and beliefs." The exhibition was first staged at Huddersfield Art Gallery in summer 2018. 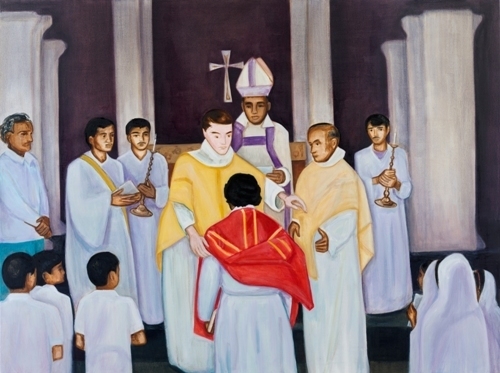 Writing in the exhibition catalogue, Jenni Lomax, former director of Camden Arts Centre, says: "Autobiography plays some part in all Krishanu's work, whether populated by figures or uninhabited like his landscapes. However, his paintings are given a deliberate edge of uncertainty that folds reality in with the collapsing of time." There will be an Artist Talk and Tour on February 21, 6pm - 7.30pm, in the MAC gallery, with Matthew and MAC Visual Arts Producer Jess Litherland talking about The Sun Never Sets. An associated Matthew Krishanu exhibition, A Murder of Crows, is showing at Birmingham's Ikon Gallery during the run of The Sun Never Sets.